FREE Kobari Beef from Panda Express TODAY! 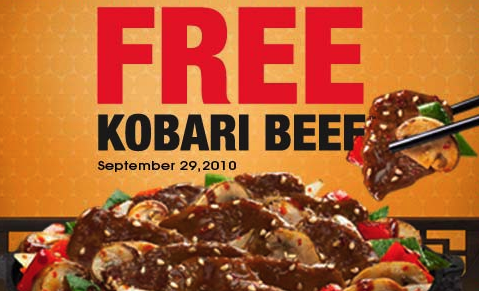 Panda Express has a coupon on Facebook for FREE Kobari Beef!! Valid today only. No purchase is necessary!